Everyone loves a good facial. 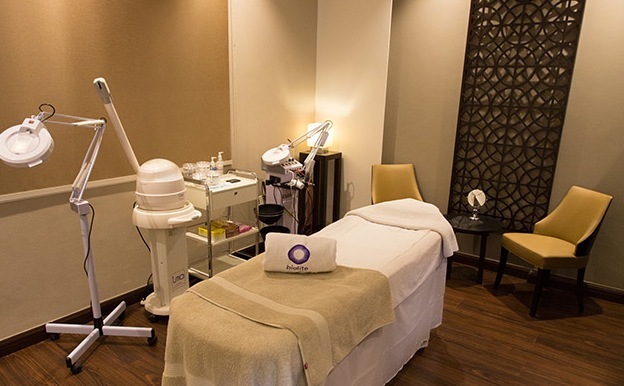 Nothing compares to stepping out of a pampering session feeling like you’ve given your skin the attention it deserves. But we’ve all succumbed to the harsh reality of the inevitable post-facial breakout. Anyone that’s had a professional facial has most likely heard the phrase, “it gets worse before it gets better.” But what if there was an option out there that really did get rid of the problems straight away, without the risk of even more blemishes? The photofacial or photorejuvenation might just be this Holy Grail facial treatment. It uses Intense Pulse Light to treat sun damage, wrinkles, age spots, acne, open pores and excessive redness. During the 30-minute procedure, pulses of light enter the skin via a handheld applicator. They then penetrate deep in to the dermal layers to stimulate collagen production and cause blood vessels in the epidermis to constrict, reducing redness and lines. Five full-face sessions spaced three weeks apart are the recommended requirement to see the best results. I headed to the impeccable Biolite Clinic (one of the only places I trust with my face) to try the treatment for myself. The main problems that I needed to address were my enlarged pores, the very unwelcome spots along my jawline, and general skin congestion. My facialist, Samira, began the treatment with the usual cleanse, quick exfoliation and an unavoidable “extractions” session (which means she basically squeezed all the nasty stuff out of any blocked pores). She gave me protective eyewear to shield my eyes from the bright red flashes of light, covered my face in a cool gel and then started treating my face with the IPL machine. The discomfort is minimal and is comparable to the snap of a rubber band rather than actual pain. In no time, my treatment was over and I had a soothing mask on my face. I left the clinic with minimal redness and no swelling at all. The improvement I witnessed on my skin in the days following my IPL experience was a pleasant surprise. The painful spots on my jaw and cheek dried up and began to heal almost immediately, whilst my pores were visibly tighter and less pronounced. I can honestly say this is the only treatment I’ve tried that has had a long lasting effect on the size of my pores. It’s definitely an experience I plan to repeat. The photofacial is a fantastic option for those who have tried everything for their skin issues and are looking for something that’s going to have a bigger impact. It’s one of the safest light-based treatments available and the risks are minimal when the treatment is carried out correctly. Just be sure to avoid the sun immediately after the treatment and to wear plenty of high-protection sunscreen when venturing outdoors.